Committing to a brain training schedule is like learning any other subject- consistency is the key. Read how Melissa's brain training with NeurOptimal Neurofeedback system helped her cope with reactive thoughts, increase focus and reduce stress and worrying. 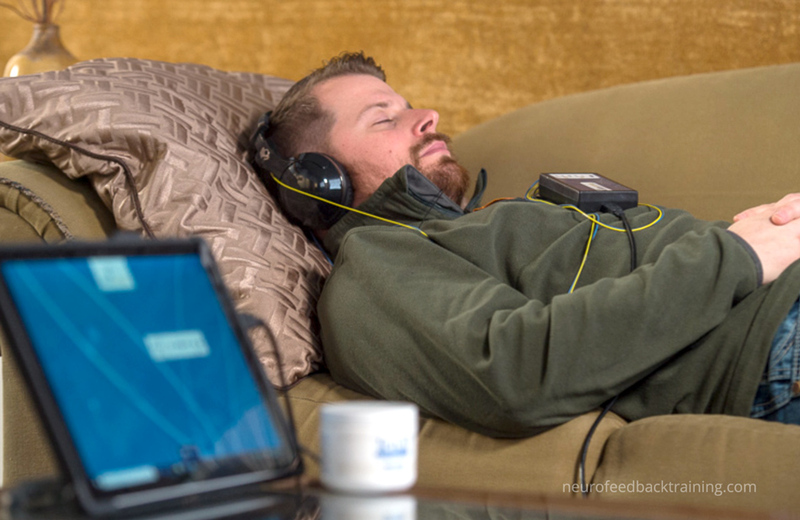 Discover the benefits of adding neurofeedback to your self-care routine! Professional athletes and writers understand how regular schedules are vital to achieving maximum results. Similarly, our brains need consistency to train them into creating healthy patterns. Our expert neurofeedback trainers frequently hear the question, "How often should I do neurofeedback? How do I get the best results from neurofeedback?" The short answer is to train 1-2 times a week and to do so consistently . A full course usually runs 15-20 sessions or more, which means you should plan to train for at least two months. We see our most satisfied clients receiving the greatest benefit from neurofeedback training when they stay on track. Consistency pays off! To better understand why a consistent training program is the most important factor for getting the best results, we first need to define neurofeedback and discuss how it works. Neurofeedback is essentially a brain fitness program that teaches you and your brain to reset your habitual patterns. As defined by Science Direct, neurofeedback is a type of biofeedback "that has been shown to enhance neuroregulation." In other words, it is a non-invasive brain training that helps promote regular brain function. There are two basic types of neurofeedback and both work by teaching us and our brains to behave differently. It is a process of learning. Anyone who has tried to learn anything new--whether it is a language, a sport, or even a new procedure at work--knows that repetition is essential for mastery. The more frequently you practice, the better you become. When I finished graduate school, I started horseback riding again after taking a 10 year break. It was only then that I appreciated the effort needed to learn how to ride. The first few weeks were clumsy and I found my body not doing what I told it to. It was discouraging, especially because I had always loved horseback riding. With how things were going, I wondered if I would ever get back to the level I was at before graduate school. After one month, something clicked. The weeks of repetition came together, and jumpstarted my progress. No matter what your goals are, repetition is essential because the brain has to go through the process of re-constructing its wiring to reflect both conscious and unconscious changes. In other words, repeating tasks physically changes the brain. Over time, the brain's "wires", called neural pathways, grow stronger. These wires are associated with different actions or functions. You can think of building new neural pathways as building a path in the snow. Repetition is the equivalent of walking in the snow. The first time you walk through is difficult, but as you stomp down the snow, a path is made and it becomes easier to walk the same route again. 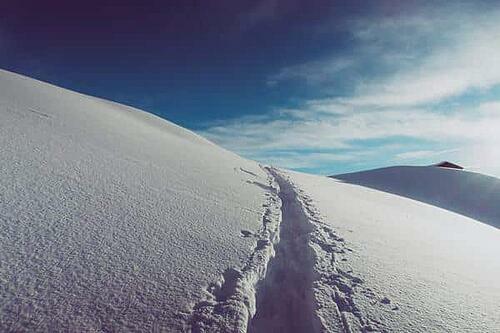 If you keep walking that path frequently, you will keep down the snow and be able to find it again. But if you wait too long, new snowfall will bury the path and you will have to start all over again. The same principle works in the brain-- frequently repeating behaviors allows you to "find" their neural pathways, thus making these behaviors easier to do. Watch this short video on how the brain changes when learning. Neurofeedback therapy focuses on unconscious learning in order to promote self-regulation. During neurofeedback, the brain is learning about its habitual electrical activity. Electrical activity is one of the two ways the brain communicates internally; the second language is chemical activity. Neural pathways are connected via electrical impulses going down through the neurons (like stomping down the path), and chemicals allow the message to continue from one neuron to the next. Negative habitual patterns--such as waking up too early, not being able to focus on the task at hand and worrying--are reflected in our electrical brainwave activities. Unfortunately, the brain builds these negative pathways automatically, even though they are not helpful. In fact, they are signs of disregulation. Through the neurofeedback program we learn how to find better patterns. What is self regulation when it comes to brain fitness? Self- regulation of brain activity is when the brain is given responses that are accurate. This happens when the brain's automatic functioning is in alignment with the individual's outer and inner present-moment needs. Going back to the examples from above, if the brain is awake at 5 AM but you're feeling exhausted and wish you could go back to sleep, it is not self-regulating based on present needs. Likewise, getting angry and yelling at our kids is not usually the best action to meet the needs of our children or ourselves. Negative habits, like yelling or waking too early, are reflected in habitual brainwave patterns connected with stress response. The stress response is one of our biggest brain habits, and is almost always connected with the things we want to change in our lives. Whether we want to be calmer, better able to manage sleep, or focus more at school or at work, we need to keep stress response under control. When you decide to try neuorfeedback brain training, you are addressing these old brain habits of well-worn stress responses. The training helps you learn how to be responsive to your current needs and goals, rather than react with old habits that have been stomped in the snow. 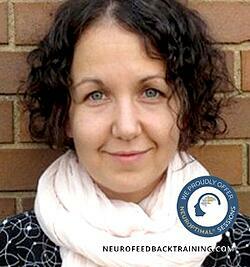 Melissa came in weekly for NeurOptimal® sessions at our NYC neurofeedback center. 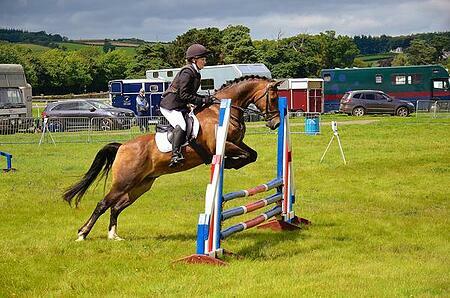 She completed just over 20 neurofeedback therapy sessions, and kept a very consistent schedule. 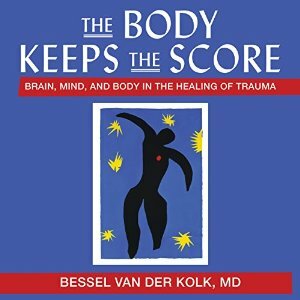 Melissa started with brain training because she read leading trauma expert, Dr. Van Der Kolk's book, "The Body Keeps the Score." In his book, he lists many wellness practices that help lower stress, such as neurofeedback and yoga. She wanted to lower her stress levels, reduce her worrying and reactivity, and see if some physical ailments might benefit as well. Looking at her self-reporting tracking logs before and after, we saw dramatic changes: her overall stressors went from an 8 to a 3. This corresponds to an improved state of over 50%. In addition to seeing those changes on paper, Melissa felt them in her day-to-day life. The biggest shift she noticed was feeling more responsive and less reactive to situations that normally triggered her. A tell-tale sign of stress is automatically reacting to events without taking the time to make careful and conscious decisions. When we learn self-regulation, we feel more grounded and calm at our resting state. Other changes Melissa noticed were feeling calmer in her gut, feeling more centered and having less intense body pain and fatigue. Below is Melissa's self-report, where she ranked the intensity of her areas of concern. 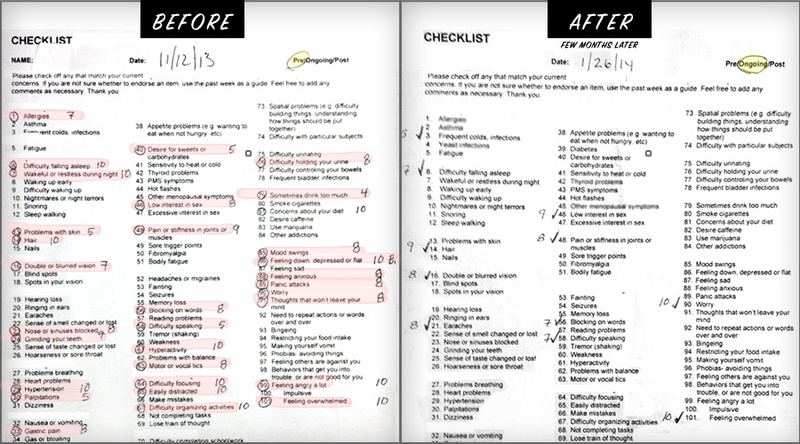 To help track improvements, we have clients fill out the Checklist form prior to starting brain training and then again a few months later. Depending on each individual's habits and goals, the benefits of neurofeedback can be wide ranging and far-reaching. Here is a video where I talk about my experience with neurofeedback while I was pregnant with my daughter and how I found it helped my stress levels. "Only one thing will win: the destructive brain habit or the neurofeedback. So either we stop training early and the habit wins or we continue training and the habit dies." What is performance anxiety? 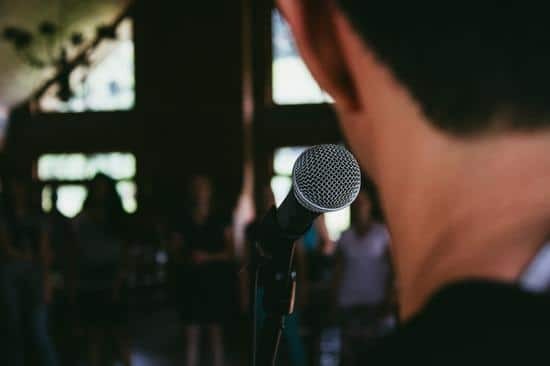 Performance anxiety, commonly called stage fright, is the experience of extreme nervousness and fearfulness when one imagines or is performing some task in the presence of others. Millions of Americans suffer from some form of performance anxiety. In fact, fear of public speaking is the number one fear of Americans. This reaction is independent of the person's ability to perform the task successfully and is not connected with skill level. Performance anxiety is created in an area of the brain that is not under conscious control. This area is called the limbic brain, and it is a primitive part of the brain that we share with other animals. Its job is to help us survive when attacked. In a moment of danger, action needs to be taken in a split second. The limbic brain triggers the sympathetic nervous system, which in turn releases adrenaline. The adrenaline causes the physical characteristics that we associate with nervousness and performance anxiety, such as a racing heart, speedy thoughts, and the "fight/flight" response. The limbic brain works independently of our prefrontal cortex, or higher functioning brain. The prefrontal cortex is the part of the brain that weighs pros and cons, and it only works at its full capacity when we have our limbic brain under control. Unfortunately, the limbic system perceives many normal tasks as a threat to our safety, such as giving a presentation or taking a test. Evolutionary psychologists theorize that this has its origins in a time when social rejection could be life threatening. In prehistoric times, social rejection from the tribe could mean death because food and safety were only guaranteed by being part of the pack. This is a possible reason as to why many people go into a stress response, or"fight/flight" response, when they have to perform in front of work or social groups. Their brains are used to defaulting to the limbic system response, when, in reality, they should be activating their prefrontal cortex. How can neurofeedback help support managing performance anxiety? NeurOptimal® neurofeedback helps us register the present moment, and subsequently train ourselves to be more accurate in our responses to current needs. It helps us take a step back, so that we can activate our prefrontal cortex and achieve an effective outcome. The moment-to-moment feedback that the brain receives as the client trains over weeks helps them determine when they are wrongly going into that fight/flight energy. Then, they can develop cues to help the system reset to feeling safe. This brings the client back to an optimal resting state: calm, relaxed muscles, normal breathing, and able to respond to current needs. Whatever the reason for starting brain training, for clients to get the most from it a consistent training schedule is key to success. Wellbeing is a process of interrupting both the unconscious and consciously controlled old bad habits and creating new ones! To be successful it needs to be done consistently. Learn more about brain training with next article.